The Jester is an attention grabber! This entrelac crocheted hat pattern is fun and eye catching! 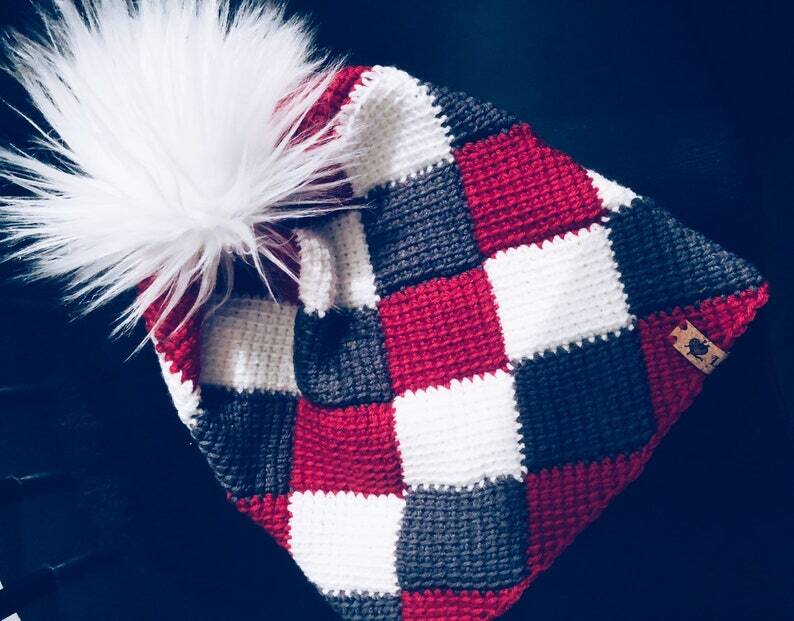 Fits like a beanie with a faux fur removable Pompom! Perfect for any outfit and can be worn dressed up, or casual!